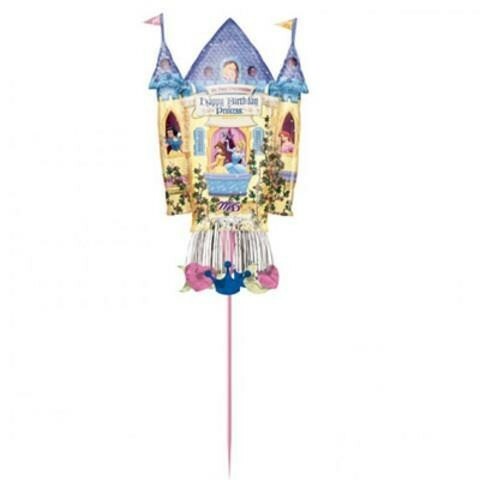 Inflatable Princess Castle yard sign for Birthdays. It measures approximately 60 inches high. You can personalise this balloon with a name of your choice. It says Happy Birthday to Princess then a space for the name.